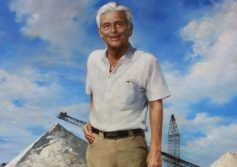 Supplies of beach-quality sands used in beach renourishment projects are becoming scarce, particularly sources that have traditionally been dredged from off-shore sand bars or shoals. 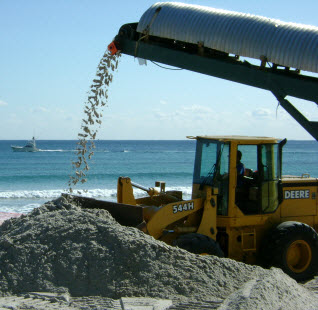 Locating potential sources of beach compatible sands can be expensive, time-consuming, and difficult owing to the stringent state and federal requirements that are often imposed on the specific composition and sand types used for beach restoration or sand placement projects. 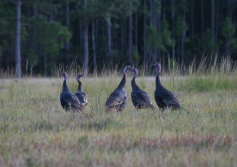 For this reason, some coastal communities have begun to use upland sand sources as an alternative in furnishing high quality sand for their beaches. E.R. 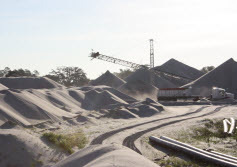 Jahna Industries, Inc. operates several inland sand mines in Central/South Florida and South Georgia that produce beach compatible sands. 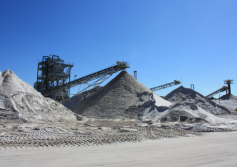 Our sand products are clean, natural, quartz sands (not manufactured sand) mined from geologically ancient marine sand deposits located inland from the coast. 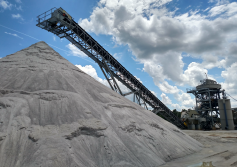 Our mines are not “borrow pits” in which sands are dug dry out-of-bank and loaded directly onto trucks without processing. 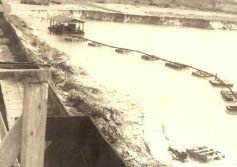 Rather they are Department of Transportation (DOT) certified sand mines which excavate the sands by means of hydraulic dredges. 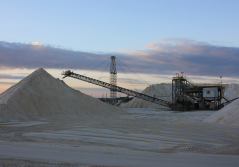 Our dredges pump the sands to large commercial processing plants where they are sorted to remove large particles and debris, washed, dewatered, and stockpiled. 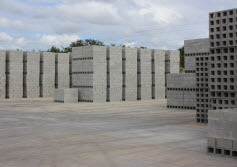 Because the sand is washed and sized in a controlled process, it is free of deleterious materials such as trash, rocks or clay balls. Fine silts and clays (particles passing the No. 200 sieve) are removed by screening and cyclone systems resulting in clean white odorless sands similar in color and composition to coastal beach sands. 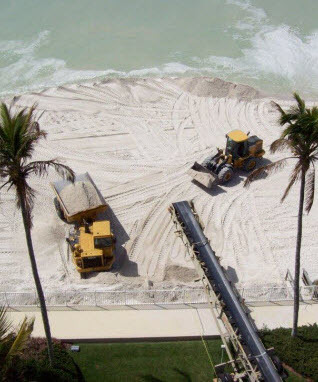 This washing and screening process works to eliminate turbidity problems when placed on beaches. Jahna beach sands have the correct Munsell color designations with respect to the brightness and chroma typically specified for beach compatibility. 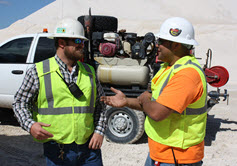 No chemicals are used in the sand washing and classification process. 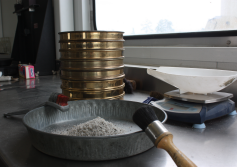 Jahna produces several different gradations of sands that can be utilized for beach renourishment, typically ranging from fine to medium-coarse in grain size. 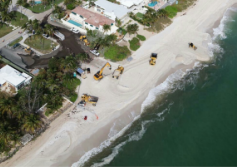 Grain size distribution data as well as samples are available from our testing laboratories to help design engineers and coastal municipalities in selecting the appropriate type of sand to be used in beach restoration. 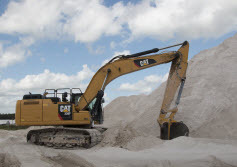 Jahna has supplied beach sands to various counties, cities, and private beaches over the past 25 years, most of which were completed according to rigorous state and federal sand quality specifications. 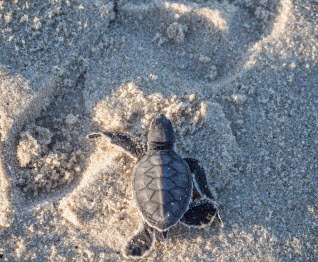 Jahna sands placed on beaches have been found to be relatively stable against storm events, and conducive to nesting sea turtles. 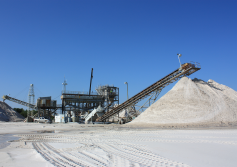 Our fully permitted mines have the production capacity and large stockpile areas enabling Jahna to supply beach renourishment projects of several hundred thousand tons or more of predictable, high quality beach sand material.